The Foundation is proud to announce its association with the All Stars Men of League Charity Game to be played at Stockton Stadium on the Sunshine Coast at 3:00pm on Saturday 2nd March 2013. 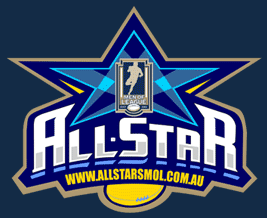 The All Star Event consists of a family day of activities centred around a number of Rugby League matches culminating in an exhibition match between an All Star team of ex NRL greats, led by Allan Langer vs the Caloundra Sharks A grade Rugby League Team. A gala dinner has also been organised to follow the family day. The All Stars Men of League Gala Evening is a charity fundraiser held at Novotel Twin Waters where guests, sponsors and players are treated to a fun evening with notable guest speakers and MC including food, drinks and entertainment. The Nicole Fitzsimons Foundation has been selected as a charity partner for the 2013 event and will auction off items at the gala dinner as well as donating the services of the retired Jamie Keith to play for the All Stars team in the game. The Sunshine Coast Daily has published an article about the Foundation’s involvement with the game and some of the NRL stars that will be there to watch Jamie. Read the article here.